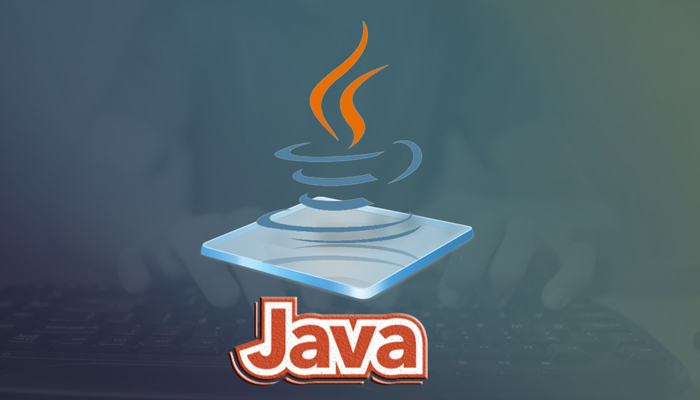 JAVA which is a well-known and powerful programming language was developed by Sun Microsystems. The credit goes to James Gosling for starting this language which was released in 1995 as core component of Sun Microsystems' Java platform (Java 1.0 [J2SE]). The latest release of the Java Standard Edition is Java SE 8. With the progress of time, popularity of JAVA soared high. And multiple configurations were built to suit various types of platforms. For example: J2EE for Enterprise Applications, J2ME for Mobile Applications. If you are a willing to learn JAVA and still not decided why you should learn JAVA, below are 10 strong reasons why you should learn JAVA. You mention the name the software applications and JAVA must be around, either directly or indirectly associated to that software. The popularity of JAVA can be fathomed form the fact that whether it’s mobile, desktop, card or other or large applications, JAVA has managed to place itself at the top of all these applications. Hardly there is anyone who might have not used Android mobiles, and if one has used android mobile, then let us understand that those android Apps are developed using java. Most of the mobile games are also developed using JAVA. Not only that, Java developers can be found anywhere in the world. The easy availability of JAVA developers are another reason why organizations prefer to develop applications based on JAVA. C and UNIX are so powerful and reach languages that these are still taught even after more than 40 years of invention. JAVA too falls in the same league. In spite of being 20 years old, java still rule the roost in the programing language arena and it does not seem to die down in near future. In 1990s, when programs written were almost not platform-independent, JAVA came into the scene and created a ripple in the programing world with the slogan ‘Write once and run anywhere’. This is one of the major reasons of popularity of JAVA. And even after 20 years, this remains same. JAVA code written in windows, do not find any difficulties in running on UNIX and other platform. Any language is considered rich and becomes popular among developers if the developers find sufficient tutorials and help. JAVA team provides comprehensive tutorials, reading which the new developers can solve their program problems easily. Javadoc makes the learning easy, it proves to be handy reference while coding in Java. After coming of Eclipse, you do not need to go into browser for javadoc. You can find the tutorials inside the eclipse application which is helpful while writing the code. Java was developed by Sun Microsystems but, one did not need to pay for it. Even after adoption of the language by Oracle, this java software remains open source today also. Anyone can download and start learning. One does not have to pay licence fee for it. Being free is also one of the reasons of the popularity of java among independent developers. Its editors are also almost free. These are the reasons which catapulted JAVA into the niche of top programing languages in the world. Popularity of any language is gauged from the fact that how big and supportive is the community. No language can survive without the help of the community. JAVA has strong community support. If you are from application development background, you might have stumbled upon the website called StackOverflow. You can find strong community of JAVA in stack Overflow and many other forums. Also, you can find Java tutorials everywhere on internet. Which makes the learning easy for even beginners? Every popular language has some popular IDEs. For example, ASP.NET has visual studio, PHP can be written and debugged properly in Dreamweaver. JAVA has also two powerful IDEs called Eclipse and Netbeans. These two IDES has also helped JAVA to climb the ladder of popularity as compared to other languages. If ever any programmer has developed any program in JAVA in DOS, he can understand the pang that one might have gone. Eclipse and Netbeas are GUI based IDEs which are developer friendly. You can write the code and execute the code there only. You don’t need to go to DOS for compiling and executing the code. Rich API has also bolstered JAVA to climb the height of popularity among other programing languages. These APIs come in-built while installations. Applets in JAVA are one of the popular APIs through which the developers can develop interactive and user-friendly applications. JAVAs Android API is highly popular for Android App development. Java provides API for I/O, networking, utilities, xml parsing, JDBC for database connection and almost everything. Java came into being when VB(Visual Basic) and C++ ruled the roost. But, none of these programs languages where fully object-oriented. JAVA was one of the first (Small Talk was the first language) languages which were almost fully object-oriented. And this is one of the most important reasons why JAVA is important language of the world. Object-oriented is the feature which provides the facility of reusability of the code. It also provides security. As per recent reports Java programmers are among the highest paid programmers in the industry. The analysis was done by Quartz, a global digital business news publication, which found that it's a great positive to have Java skills on your resume. Gooroo which is a career planning company did analysis and found that Java remains one of the most popular and best paying languages in the US, UK and Australia in its 2015 salaries and demand report. Indeed.com, a worldwide employment-related search engine for job listing, reports that the average Java developer salary for job postings in February 2016 in the US is $102,000. 1) Java is used in real world applications. You might be thinking where actually it’s used in real world daily applications. Below are few examples which show JAVA is used by top-notch companies. JAVA is used in several worlds’ top web sites, including eBay.com, Linkedin.com, Amazon.com, and Facebook.com. Java is excellent for developing enterprise applications in virtually any industry, including financial services, healthcare and manufacturing. In India, almost all Bank websites like ICICI BANK, HDFC BANK SBI etc. are developed using JAVA . Java has strong security features because of that these websites use this language for development. Conclusion: JAVA is one of the highly popular programing languages in the world. JAVA came in the time when there was almost no any programing language which was platform independent. Java is object-oriented programing language. The programmer of JAVA can be found anywhere in the world. 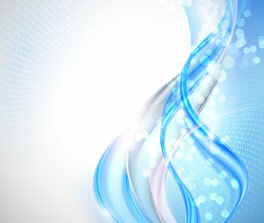 JAVA application can be found in mobile, aviation, websites, and large applications also. It’s a high paying job programming language also. Acesoftech Academy is a leading JAVA Training institute in Kolkata which provides advanced and Industrial JAVA training in Kolkata.